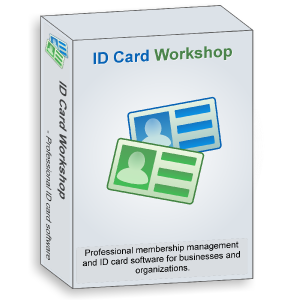 ID Card Workshop Team has released ID Card Workshop 3.2, an professional but affordable membership management and ID cards, ID badges and membership cards making software for Microsoft Windows. ID Card Workshop is designed for businesses and organizations which enables anyone to design and print ID cards with their own printer, the printing feature not only supports professional ID card printers, but also supports inkjet and leaser printers. And with its inbuilt full featured membership management feature, users can easily manage all their member data. ID Card Workshop also supports 1D barcode(Code 39). 2D barcode(QR code) and barcode scanner support and with the webcam capturing feature, ID Card Workshop will help users to build-up their own all-in-one membership management,, member enrollment cards issuing, cards verifications system at low-cost! The pricing system of ID Card Workshop is flexible, it has two types of license: a pay-as-you-go 30 day subscription license and a single user unlimited time full license, the pay-as-you-go license is very suitable for SMBs an it is for only $14.95/month!